First impressions count, and while potential clients and customers may not notice clean windows, they will almost certainly notice ones that are dirty and unkempt. 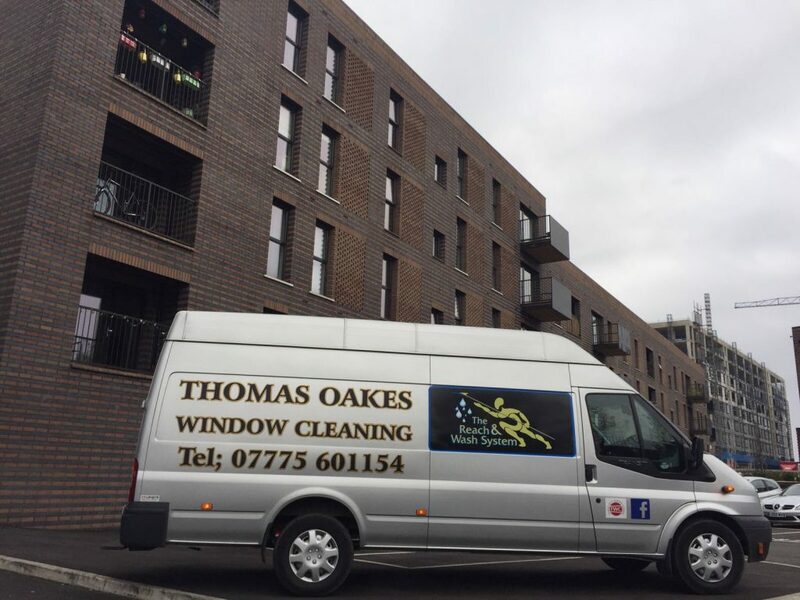 Thomas Oakes Window Cleaning offer High- and Low-Level Jet Washing to commercial properties in Bolton, Wigan and Warrington. Ingrained dirt and other materials can cause your commercial property to appear neglected and unappealing to any potential customers that may walk past. Using our Jet Washing services, we can transform the exterior of your commercial premises and make it something that you will be proud of. We can ensure that each level of your property can be accessed and cleaned, leaving every inch of it looking fantastic. Arranging a jet washing service from Thomas Oakes Window Cleaning will not only keep a commercial building look presentable, but it is also a good way of remaining compliant with Health and Safety regulations. We have worked in the commercial window cleaning industry for over 15 years. And in this time, we have built an excellent reputation for supplying the highest level of jet washing services to each of our clients. We know that they rely on us to make them look their best, and we never let them down. Our attention to detail means that your commercial premises will look its best when customers come to visit. Our High and Low-Level Jet Washing services are available in areas across the North-West. To find out more about our services and to arrange a jet washing service, contact our friendly team today by calling 01942 819334 or 0777 560 1154. You can also email us at thomasoakeswc@gmail.com.